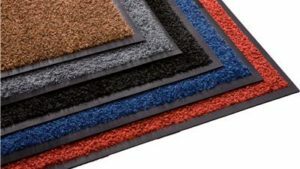 We offer commercial and business floor mats in various styles, types, and sizes. 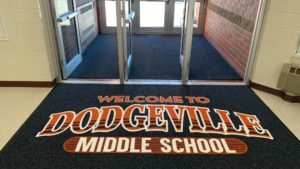 You will find a selection of commercial matting for businesses: rubber mats, entrance mats, custom logo mats and more. 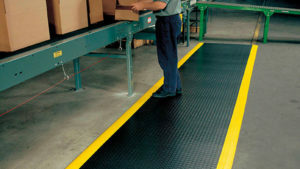 Our matting products are designed to match various kinds of business and commercial settings. 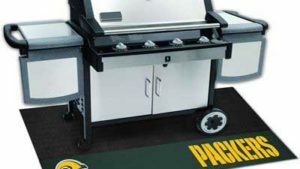 They’re perfect for public entryways, great for gym floors, and ideal for restaurant kitchens or any other business needs. 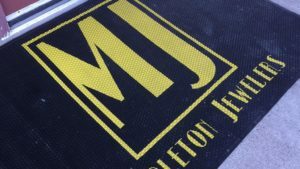 Get a floor mat with your logo or business name. 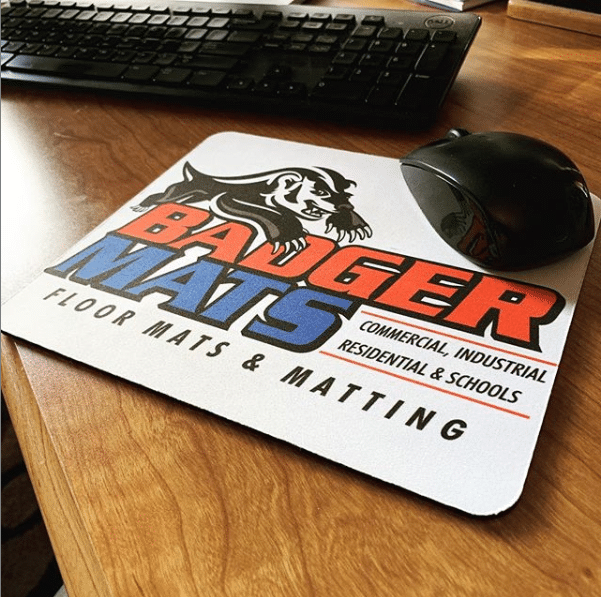 Grab an anti-fatigue mat for your workstation. 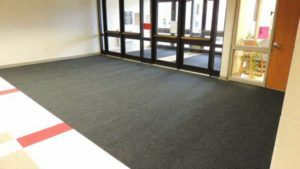 You will find a wide array of selection of floor matting products that you can use as entrance mats and workstation mats. 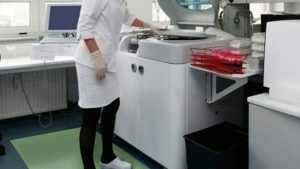 When foodservice kitchens, outdoor entrance areas, and public bathrooms are moist and slick, they can cause accidents and disasters. 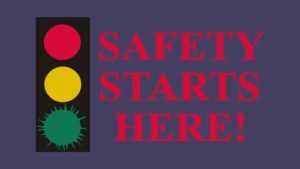 Customers and employees can slip on wet floors and injure themselves. 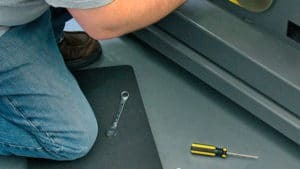 Our commercial floor mats are made from materials that can help prevent accidents and injuries. 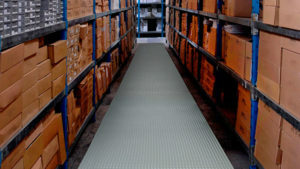 They provide a level of resistance for feet, footwear, equipment, and machinery. 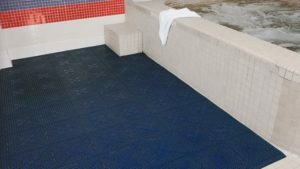 Our products offer a kind of anti-slip insurance that is beneficial for any setting. 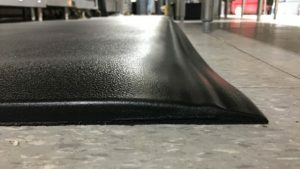 In addition to preventing accidents, these floor mats act as a protective surface for floors with high foot traffic or abusive use or conditions. 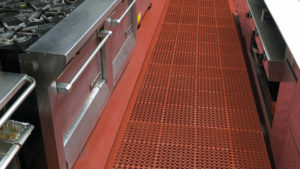 These are a cost-effective floor protection solution for any business. 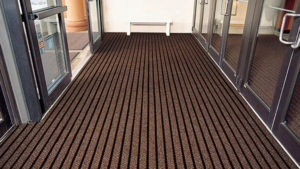 Many indoor floors are sensitive and susceptible to damage like chips and cracks. 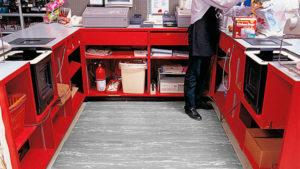 Having a protective layer placed over your floors can protect them from harm. 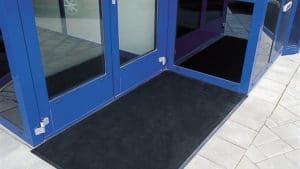 Our commercial and business floor mats can also bring cushioning and comfort to reduce physical stress and fatigue to your employees and customers. These things can help relieve pressure on soles, ankles, and lower back. Ultimately, this leads to a happier work environment. 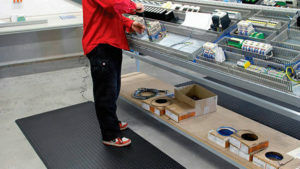 Should you need any assistance in choosing the best mat for your business, please don’t hesitate to give us a call.